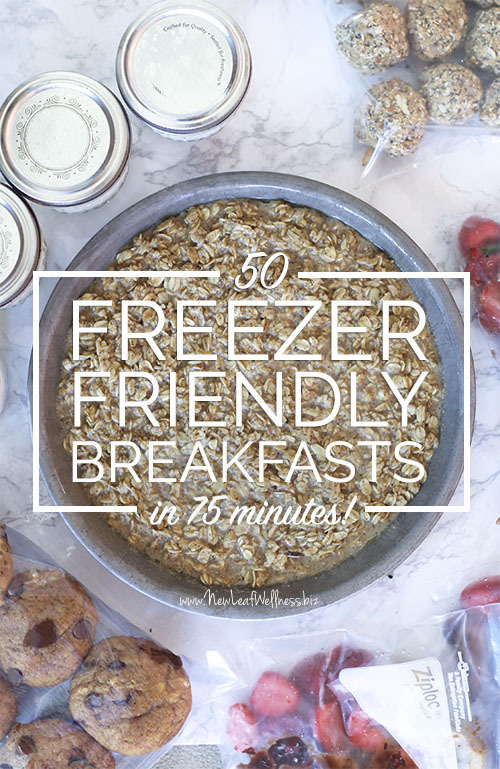 50 Freezer Friendly Breakfasts in Just 75 Minutes! If you need some new ideas for a quick and easy breakfasts, Kelly over at New Leaf Wellness has come out with a list of 50 Freezer-Friendly Breakfasts you can make in just 75 minutes. It includes a new printable PDF that has free recipes and a full grocery list. Here are some of my personal favorite healthy and easy breakfast ideas you can try!